I have nearly 20 MP3 blogs listed in my Google Reader. Every day, I scan through the day’s posts and offerings, downloading a healthy amount of songs. Some I chuck. Some I keep because they are fun or lovely, even if they don’t make me really sit up and take notice. Then, there are those that make me sit up and take notice. Today’s discovery was Passion Pit, a local band which according to the Boston Phoenix’s On the Download is taking the blogs by storm. Music For Ants/Music For Kids Who Can’t Read Good (what is that blog called anyway?) shared a couple songs from their forthcoming album Manners (dropping May 19) today. Take the ambient whimsy of School of Seven Bells and blend that with the synthy goodness of MGMT, with a healthy dash of Cassettes Won’t Listen, and you’ve got something perfectly delightful. “Little Secrets” is a four-minute party with all the makings of a classic summer groove, while “Moth’s Wings” is a piano-dappled daydream. Go check them out. You can also find their remix of Ra Ra Riot’s “Ghost Under Rocks” here. Shimmy Man, I’m looking at you. You can’t get this kind of post-cereal, pre-shower analysis just anywhere, folks! Sec Napolitano & CDC briefed us at lunch re Swine flu. Amazd to find out we’ve36,000 deaths &200,000 hospitalzed a year in USA from reg flu. Yup, 36,000. That’s a lot of people. No wonder they do flu vaccine pushes every fall. I did a very cursory Google Reader search for “swine flu” and 36,000, and just over 1,800 stories come up. For “swine flu” alone? More than 103,000. That’s potentially less than one and a half percent of articles placing the situation in proper, CDC-sourced statistical context. Again, that’s a very blanket, unscientific glimpse at the coverage, but still–it gives a sense. While swine flu is blamed for about 150 deaths in Mexico since the outbreak began, 13,000 have been killed by the flu in the US this calendar year alone. No fewer than 800 flu-related deaths were reported in any week between January 1 and April 18, the most recent week for which figures were available. Let me quickly follow this up by saying that a somewhat assuaging statistic is not an excuse for letting down our guard. I’m not at all saying, “eh, ignore it, it will blow over” — this outbreak is concerning because it is a hybrid strain we cannot yet control, and it has affected otherwise young, health individuals (the vast majority of deaths from typical flu strains affect people over the age of 65) — but rather than alarming people, let’s just keep them informed and alert. There’s still a lot we don’t know, such as, why do early indications show the American strain as being less serious and fatal than the Mexican strain? We can’t be complacent — the reasons for this difference are still unknown, and there’s no taking comfort in a lack of knowledge. We also can’t politicize this matter. Sure, the removal of nearly $1 billion in pandemic preparedness funding from the stimulus package is cause for concern, but that is still a separate matter from the actual outbreak and measures being taken in relation to it — to politicize the response is to obfuscate the issue at hand. Right now, the CDC and the WHO have to do their jobs, citizens have to be informed and vigilant, and in the meantime, the media needs to report responsibly. Of course, this morning, the first American death from swine flu is in the news. It’s tragic — a 23-month old from Texas — but again, context is key. It’s up to the reporters covering this story to keep us informed of that context, and to let us know when the sharp deviations start to emerge — that will be the real cause for concern. As my good friend Joey pointed out in the comments to this post, songs from the iTunes music store are no longer DRM. This, of course, is cause to rejoice, and with me becoming an iTunes/iPod convert, it should be big news for me. Still.. Amazon MP3 has my heart lodged in its little download queue. CanI really jump ship to iTunes? Or is there room for both in my life? Just now, I purchased two songs I heard today on my internet radio station of choice, KEXP — Public Image Ltd.’s “Rise” (Amazon MP3) and Shake Some Action!’s “Damaged” (iTunes). As it turns out, “Rise” is $.99 on both services, but “Damaged” is a whole dime cheaper ($.89!) on Amazon MP3! I could even buy the original Flamin’ Groovies song for which the band is named for a measly $.69, if I so desired. Why on earth would I go to iTunes when there are dimes to be saved?? Well, hold on. Out of fairness, I haven’t poked around the iTunes Store too much. Sure, Amazon MP3 looks like the better bet in this case, but I should give the competition its due. So, to be fair, I decided to undertake a somewhat unscientific comparison between the two services. This is by no means a comprehensive examination of the two, and I am certain I brought my own predilections into my assessment, but nonetheless… here you go. These are some of the reasons I love Somerville. 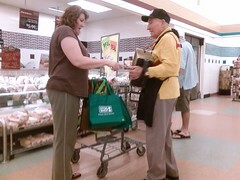 This gentleman was just walking around the Stop and Shop, playing the accordion. You can’t top that. It made braving the Sunday rush at the supermarket more than worth it. Speaking of Somerville, I’d like to give a shoutout to Winter Hill Reborn, a blog that focuses on my neighborhood in Somerville. 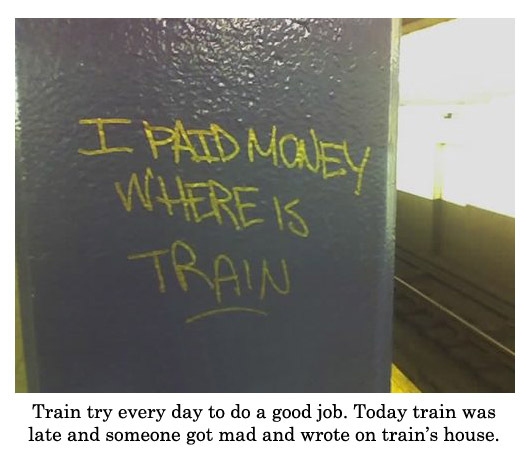 I often feel like it is the overlooked area of town, so I appreciate this blog’s existence even more. They just posted some links to local Flickr photostreams. I’ll have to check that out. Yesterday evening, despite staying at work a little later than expected and having already walked to work that morning, I decided to go for a run since the weather was so beautiful. I’m recovering from this cold and it’s been two weeks since my last run, so I had low expectations for my stamina. I planned a loop that allowed for an early cut out and a total distance of almost exactly 5K. By the time I got to the cut out point, a combination of feeling OK and being determined to push myself propelled me onto the longer loop, which winds through the scenic Mystic River Reservation, past the athletic fields and giant windmill. I got an additional psychological boost when I finally began the return portion of the loop. The evolving riverside scenery also helped. As I was hitting the main path back to civilization (not that I am that far removed from civilization with I-93 literally 20 feet to my right, but at least I’m not on the street), I realized what I was doing — I was taking control. I’ve been feeling a little bit overwhelmed and doubt-riddled lately, and a little bit like I’m not in control of my own destiny, lacking the discipline to do the things I actually *want* to do. Those are sometimes the most difficult to accomplish, it seems. I always look with curiosity at my friends who whine about wanting to do X but don’t do anything about it. I’m realizing, much to my chagrin, that I’m one of those people. But grabbing the reins on your own life is harder than it looks. But last night, I was doing it. I was exerting discipline, pushing myself in directions that, while challenging, were not only what I truly wanted and needed to do but were what I knew my body could handle, even if there were some minor cries of protestation or reluctance. In the end, I was pretty beat, but the endorphins were worth it. When I measured out my route this morning, turns out it totaled 4.75 miles, which ranks among my top runs ever. If you want it, own it. End of story. Now I just need to take that lesson into other areas of my life. God bless the city of Somerville. 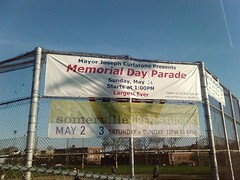 I love how they use the same Memorial Day parade banner every year, just changing which date in May the parade is held. And it’s always the “Largest Ever.” I wonder if anyone audits the parade to see if that’s actually true. If not, they’d have to buy a new banner. This is funny, but it wasn’t so funny when I was stranded at Davis Square for an hour and a half last night waiting for two buses that never came. Bus make me has a sad. Recently, the 89 bus switched the outbound end of its evening service to start from Davis Square instead of Clarendon Hill, a nod to the need for people to get to and from the T and various nightlife. This is a good move, but as it turns out, apparently, I leave the area from closer to old Clarendon Hill route (Teele Square, specifically) more often than I leave from Davis. And apparently when I try to leave from Davis, the bus just won’t come. To add insult to injury, when I try to fill out the form on MBTA.com for the On-Time Service Guarantee, I keep getting error messages. I bet if I try to Write to the Top, I’ll get a Return to Sender notice. * OK, I was going to walk to work anyways, but still. When the bus passes me, I plan on sticking out my tongue.